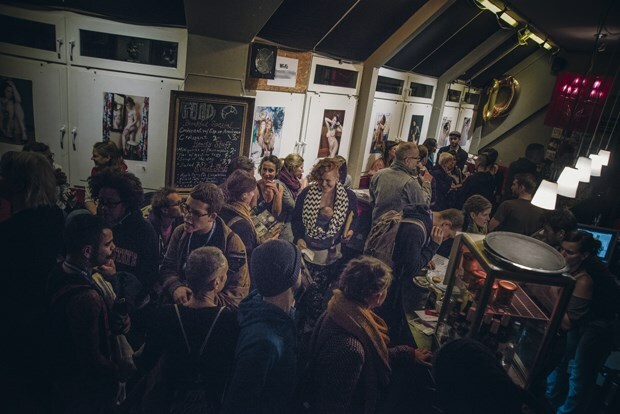 Alongside the numerous films, workshops and performances during the Pornfilmfestival, an art exhibiton will take place in Moviemento cinema once again in 2018. Themes such as sexuality, feminism, eroticism, gender identity and politics should be approached and considered in humourous, sensual, bold, critical or playful ways. For this project we are looking for artists of all genders and sexual orientations and, for the first time, opening this call to the public. If this relates to you and your artistic approach (i.e. painting, photography, video, drawing, sculpture or installation) and your work deals with the broader sense of sexuality, you can send us your art/project ideas in the form of an application by June 30th, 2018.